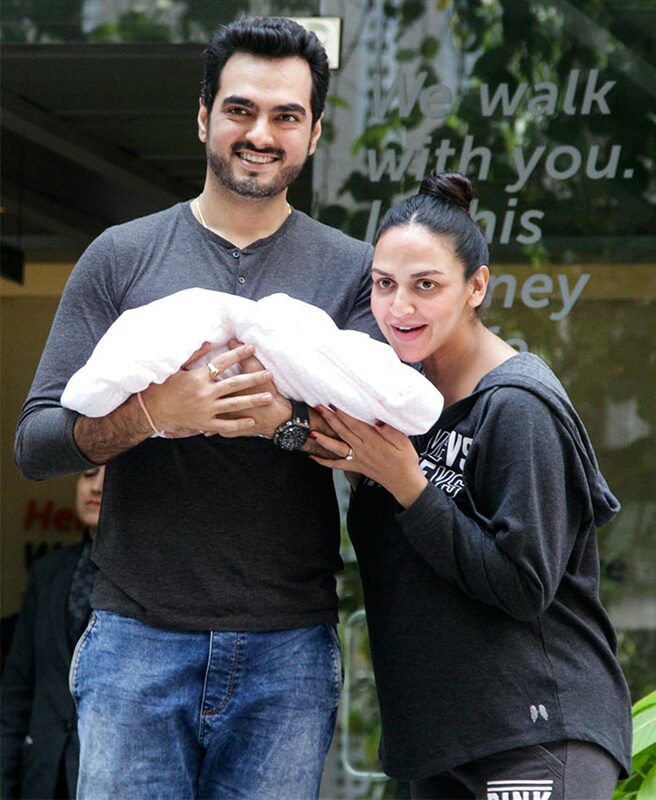 Rediff.com » Movies » Video: First glimpse of Esha Deol's baby! 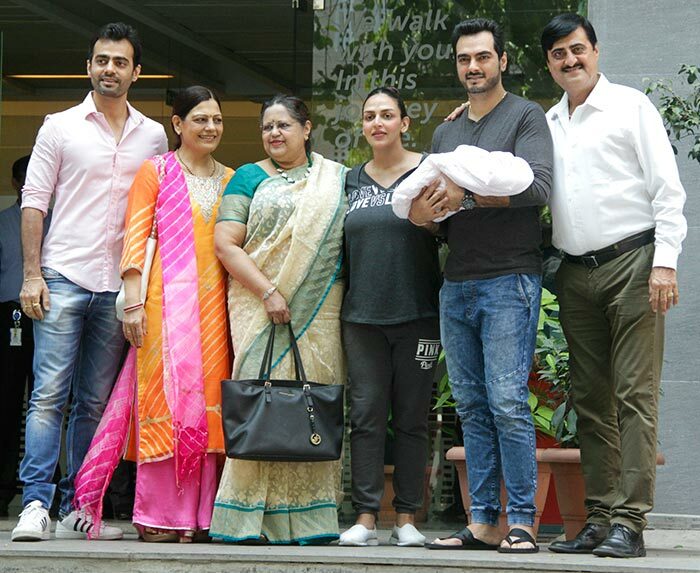 Video: First glimpse of Esha Deol's baby! Esha Deol's little baby girl was nestled safely in daddy Bharat Takhtani's arms when they left the hospital on October 23. The couple waved to the media as they exited the Hinduja Healthcare hospital in Mumbai. Esha gave birth to her daughter on October 20. The little one has been named Radhya. Esha waves out to the photographers. The parents, holding onto their bundle of joy, can't stop smiling. Watch Esha and Bharat step out of the hospital with their newborn. Jacqueline, Sonam, Varun, Sidharth: Like their Diwali look? VOTE! Saif-Kareena, Shahid-Mira, Soha-Kunal: Best dressed couple? VOTE!